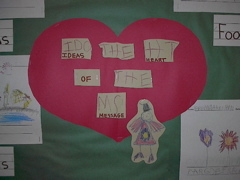 IDEAS, the heart of the message. 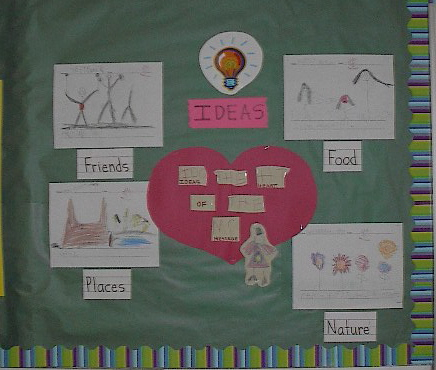 An IDEAS writing trait bulletin board in a kindergarten classroom. The "IDEAS, the heart of the message" chant in the middle and the mentor writing models transforms this bulletin board into a classroom resource. 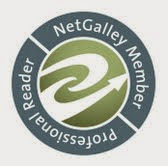 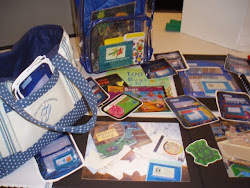 Friends, Places, Food, and Nature were topics generated from this community of writers.